Warning: Job Scammers on the Rise and They Want Your Money! You may be an innocent target! The word is out... There are millions of jobs available in the US. But the scammers know that you will be searching for them. Online. Big job sites are warning you to be on the look-out for any job offer that involves money in any way. 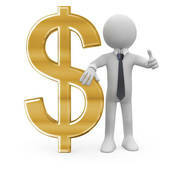 Don't cash any checks your new 'boss' may tell you to, and then tell you to send them the cash. Just don't do it. Stick to the well known sites. Monster.com, Indeed.com, and more. Check them out. Be especially careful on Craigslist. NO MONEY TO ANYONE FOR ANY REASON! Got it? Good. Now, on with the hunt!